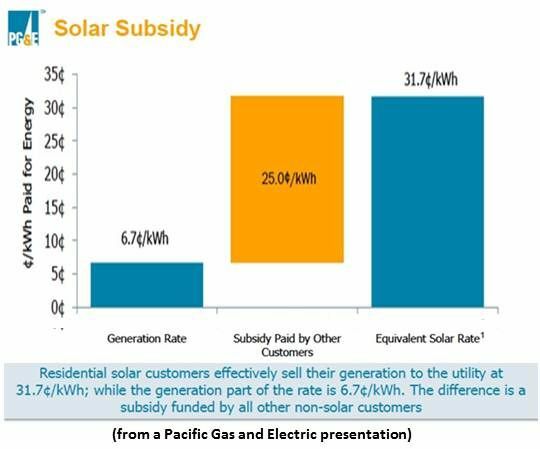 Because of the continued haggling over net energy metering (NEM), PV solar’s most fundamental incentive, GTM Research brought together an advocate and a utility representative to debate the policy at its U.S. Solar Market Insight Conference. A typical PG&E solar customer, consuming 1,000 kilowatt-hours per month, has an average rate of $0.23 per kilowatt-hour. By PG&E’s calculation, its avoided cost, he said, is about $0.07 per kilowatt-hour. 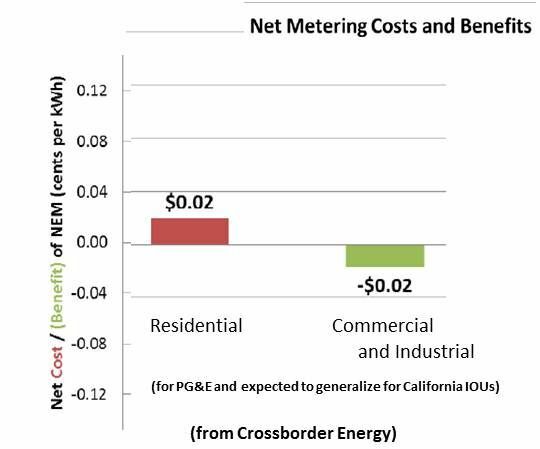 “You need to look at the costs and benefits of net metering,” responded Keyes, Fox and Weidman Partner Jason Keyes, whose law firm represents the Interstate Renewables Council (IREC), a nonprofit advocate for fair utility pricing. Costs and benefits vary from utility to utility, he said, and from market to market. “In the residential market, the average is $0.23 per kilowatt-hour and often in the $0.30 range,” he explained. “But two-thirds of the market for net metering is the non-residential sector.” Because that market pays demand charges as well as energy charges, he said, its solar use is a benefit to utilities. The biggest cost of NEM, Keyes agreed, is the rate. But “the $0.23 is a revenue reduction. The utility isn’t actually paying me $0.23 per kilowatt-hour when I generate electricity. It gives me a kilowatt-hour in the middle of the night.” He rejected the idea of administrative costs because advanced meters should eliminate them, but he accepted there are interconnection costs. “On the benefit side, the biggest thing is capacity,” he said. Solar adds to a utility’s generating capacity, saving it the costs of purchased peak demand sources. Rubin said a CPUC study required including both power consumed onsite and exported power. Keyes said that was only because it was legislatively mandated and the CPUC has publicly stated it will focus on exported power. Debate moderator and GTM Research Vice President Shayle Kann asked Rubin if a rate structure fix could make NEM acceptable. “One of the most straightforward things,” Rubin answered, “would be to flatten the rates.” A fixed charge similar to that imposed by the Sacramento Municipal Utility District of perhaps $25 to $30 per month could be an alternative. Or utilities could add demand charges for residential customers.